Mamata Banerjee said today the "responsibility of the Majerhat collapse" lies with the PWD officials. 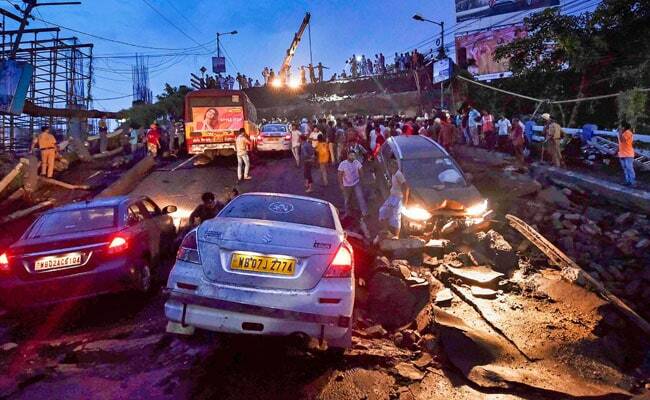 Ten days after the Majerhat Bridge collapsed in Kolkata and killed three people, West Bengal Chief Minister Mamata Banerjee admitted the Public Works Department (PWD) of the state government had been found negligent and they would not be forgiven for that. She also announced that the old bridge will be demolished and a brand new bridge built within one year. Speaking to the media at her office, Ms Banerjee, however, did not name anyone in PWD for the lapse, certainly not the PWD minister Aroop Biswas who was with her in Darjeeling when the bridge collapsed but has so far not spoken a word about it. The chief minister appeared to roll back her earlier attack on metro rail work going on adjacent to Majerhat Bridge. "We had stopped that work for seven days because forensic tests needed to be conducted," Ms Banerjee said. The report submitted by the high power committee today was, however, a preliminary one. The final report is expected in a month.